You are at:Home»Admissions»Law School Decisions: Florida State or Wake Forest? Law School Decisions: Florida State or Wake Forest? We are going to turn some reader questions into full posts in cases where I think a lot of people might be in a similar situation. A common decision is whether to go to law school in your home state or farther afield, and making the right choice can be critical. I wanted to get your opinion on my law school choices. For some background: I’ve been working as a television producer for the last few years and want to work in IP/entertainment law (I’m hoping my TV background would be really attractive to firms and media corporations). I have narrowed my law school decision down to two choices…Wake Forest Law (it would cost me $10,000/yr in tuition) and Florida State College of Law (it would cost me $6,000 in tuition). I’ve lived in FL my whole life and want to practice somewhere in the South Atlantic area (D.C. being an ideal place to end up). Do you have any advice to help me in my decision? I’ve visited both schools and like the culture of both of them. This one is a fairly easy call to me. When you are choosing between schools outside the top 25 cost becomes the major factor. As it’s often difficult to procure legal employment right away, having a lower debt burden is key, allowing you much greater options in terms of employment. I’m not sure whether that’s 6K total cost for Florida State or yearly, but it doesn’t matter — Florida State is the right decision here, 100%. These two schools provide comparable employment prospects (about 65% employed in full-time legal jobs 9 months following graduation).Wake Forest doesn’t have powerful enough extra pull for getting jobs in the DC area to justify switching your home base now and paying the extra cost for tuition. Florida State should have plenty of alumni working in the DC area who might be able to give you leads when you start searching for jobs. Also, FSU is going to be much superior in terms of the the Florida job market, so if you choose to return to Florida you’ll have a major advantage there. Having Florida as a good option strikes me as very sensible, even if it’s not your main plan. Sometimes you have to go where the work is, and the DC market is a much more competitive than Florida. Also, as you like both schools, you won’t be sacrificing on culture! As a side note: entertainment law is a tough prospect even coming from elite schools. While it’s certainly a good idea to pursue your interests in this area, make sure you aren’t neglecting areas of focus where hiring is more robust. Check out our recent post on what classes to take to be most useful to law firms. Good luck and enjoy 1L year! 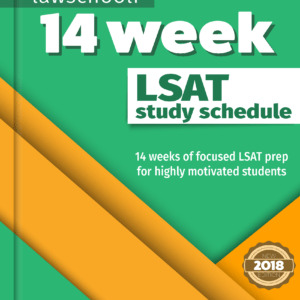 I improved my score by 25 points and got a 177 on the LSAT. Next Article The 2015 US News Law School Rankings Are Out! 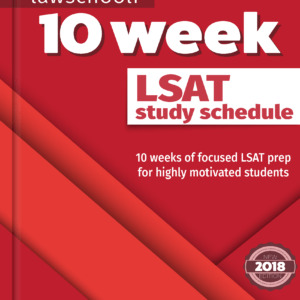 What LSAT score do I need to get into Harvard Law School? I believe I would like to practice on the east coast. Washington St Louis would only be 9000 in tuition. Minnesota gave me a free ride. Emory would be 13000 and Vanderbilt would be 20000. Which do you think is the best to go to. I do not think Minnesota, mainly cause I hate snow. I’d say WUSTL if you exclude any preferences. None of those schools are going to be fantastic for moving to a different market, but they certainly won’t be bad either. There should be no substantial difference in the job search results you can expect from Vandy, Emory or WUSTL, so just go with what’s cheapest. That is unless you consider the Atlanta area the east-coast. If you want to practice in Atlanta, then go for Emory. However, since the prices are somewhat close, you won’t be making a mistake by going to any one of these schools. I will say though that an extra 30K might not seem like a lot when viewed from the front end, but it’s a big deal when you start paying it back. What about full scholarship to UGA versus 25% scholarship to Boston U or no scholarship to UCLA/USC/Georgetown? Or any school potentially ranked higher than Boston University with less scholarship? Hi Greg, sorry I missed this question. Of these I personally would definitely take the full scholarship to UGA over any of the other options. BU is a definite no if money is even a slight concern for you. It’s an expensive school in an expensive place, and hiring prospects should be roughly equal or worse than those of UGA. What about Full Price at Harvard and full Scholarship at UVA? This one is definitely going to require a little analysis. Mind if I save it for a full post? Sure! I would love your full analysis. How about one on UCLA at near-sticker price vs Minnesota at full-tuition? Or, Wisconsin at about half-tuition? If you don’t hate Minnesota with a burning passion, then I would say it’s a no-brainer to go there. The ranking difference is certainly not enough to justify paying full price. Minneapolis is a great place from what I hear. I wouldn’t really even consider Wisconsin in this situation. How much money are we talking here? I think usually you want the power of the GTown name if its not going to cost you a lot extra. That lay prestige might not seem to matter now, but if you leave the law it could matter a whole lot. Also, yes, there likely is a small but very real hiring advantage to coming from the higher ranked school. Have you tried negotiating for a little more money with GTown? If they know you are having a tough time making this decision, they might be willing to help you out with a little more aid. I have a question about admission and I am having trouble finding the answer. Do you recommend mentioning your law school acceptances in your letter of continued interest? I believe I am going to be waitlisted from my #1 school but I got a competitor’s school with almost the exact same ranking and admissions criteria. I believe referencing this acceptance could give me some leverage, but I haven’t heard anyone speak about this on the forums. Thoughts? Hey Mark, I was actually wondering the same thing and looking this up online yesterday. If you go to UMich wait list FAQ, they say that telling them where you’ve been admitted doesn’t make much, if any, difference to your candidacy as a wait-listed applicant. Ann Levine also responded to such question with a similar answer on her blog. IMO you should mention peer schools when you’re trying to get leverage in scholarship negotiations with the school you’re accepted into. Perhaps Josh or Evan can chime in and give a better response. No Mandy, that’s pretty much spot on. I think it would be hard to mention that gracefully. 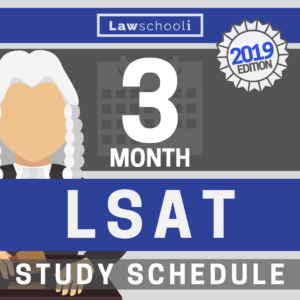 We have a discussion on scholarship negotiation here: https://lawschooli.com/law-school-scholarships-2013-update/ Negotiations are certainly an appropriate time to discuss your other offers.